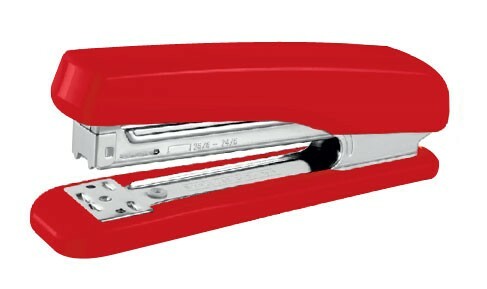 Full strip stapler with heavy duty steel components. Rotatable anvil for pinning and stapling ability. Reload indicator and quick loading mechanism. Indicate maximum insertion paper depth. The base length of depth is 70mm and breadth is 145mm.